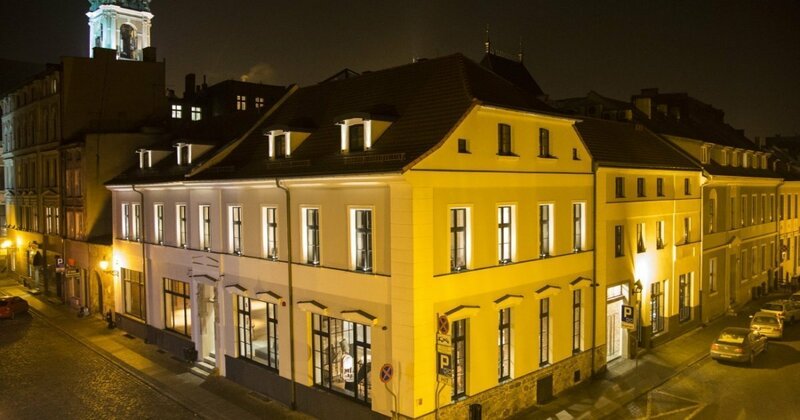 Meet our boutique hotel Nicolaus **** located in a bourgeois tenement, vis-à-vis the Nicolaus Copernicus House, in the very heart of the Old Town entered into the World Heritage Site. Definitely, that’s a place for those wanting much more than simply accommodation. It’s style, it’s creativity all around. Yet, pleasure is pleasure and work is work, so we are most prepared to host also these of you who travel on business and need comfortable functionality. No matter what the reason of your travel, we have everything you need. Close to the heavenly beautiful Old Market Square and all the attractions of Torun, reachable on foot, we are absolutely a unique point on the map of the city. These interiors are really art one of the kind. All the meetings organized here will go smoothly and pleasantly, indeed. The Nicolaus Hotel**** offers you 26 high standard rooms, Restaurant, Café and Lobby Bar, Bistro, conference halls and a banqueting hall. In the summer, you can enjoy our delicious cuisine on the terrace with the breathtaking view of the Old Town. Too high? Oh, alright! Quite a seducing option is also a patio and a summer garden.